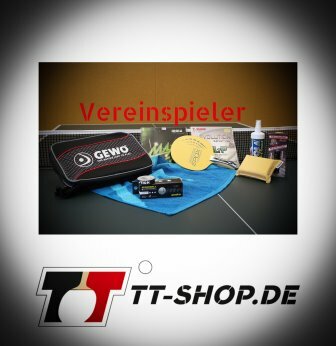 At this product page, you can find all table tennis bats available at TT-SHOP.COM which are currently (or permanently) on sale. Our goal is to be able to offer a bat which suits you best - no matter if you are a hobby player, a club beginner, or an advanced professional. Hobby and Recreational Bats: Mainly bats for hobby and recreation, 10-30 Euro. Bats when Starting in a Club: A selection of bats exhibiting high quality to learn and strengthen new techniques. 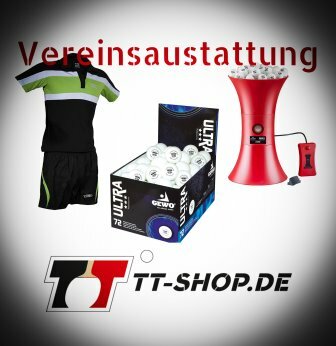 Bat Tip from TT Spin: Expert tip from a blogger and our partner (www.tt-spin.com). Bat Tip from TT Shop: Combine rubbers and blades of a specific product family. For example, Donic Waldner Bluefire Spin. Here you can combine all Bluefire rubbers with Waldner blades. 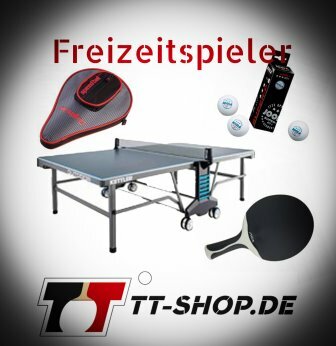 Of course, all selectable table tennis bats will be mounted for free!